DW is excited to offer two new finishes - Satin Deep Cherry, and Midnight Blue Satin - made exclusively for Black Friday 2018. 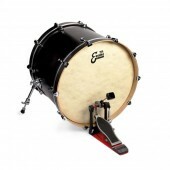 The Design Series Shells are thicker North American Maple shells that pack a punch. Incorporating HVLT™ (Vertical Low Timbre shell with a horizontal outer ply), Design Series™ shells are full, resonant, and responsive.